Sheriff Tony DeMeo knows where his authority comes from. It comes from, and lays with, We the People. This Sheriff is willing to put his whole force in direct conflict with federal bully boys who are seeking to illegally seize cattle and property away from the Citizens in his county. Sheriff DeMeo is a hero of We the People. 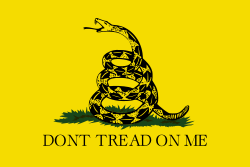 On an almost daily basis there is one news article or another about the federal government overstepping its authority. Most times and places the Sheriffs and other supposed defenders of the People roll over and the People are left defenseless against federal abuses. But Sheriff DeMeo understands that his authority to enforce law and order is derived from the People he serves. The federal government has forgotten this important fact. Sheriff DeMeo is telling the feds to back the hell off or face the consequences. In a case stretching back to 1991, the Hage family has faced illegal cattle seizures, attempted water rights confiscations, and abuse at the hands of federal agencies like Bureau of Land Management, (BLM), and U.S. Forest Service. Nye County is huge! The States of Massachusetts, New Jersey, Rhode Island, and Delaware could fit inside with room to spare. This creates a challenge for any law enforcement authority to protect and defend. To have to do so from the illegal activities of the federal government makes it even more challenging. Water rights in Nevada are more precious than gold in a state known to be dusty, dry and hot! The cattle ranchers in Nevada need all the water rights they can lay their hands on. But the federal bully boys are working hard to take from the Citizens what belongs to the Citizens. Sheriff Tony DeMeo is standing in their way and welcomes the threat of arrest he has received from the feds. The Hage Family has faced several illegal cattle confiscations as the BLM tries to seize water rights, gain control over law enforcement procedures and more. :The courts have told the BLM and the U.S.FS that they do not have the authority to do these things. It hasn’t stopped them from attempting these and other illegal activities such as cattle rustling. Good thing for the feds this isn’t the wild west or they might be dead already. Cattle rustling is cause for hanging! Currently the courts have told the federal government they owe the Hage family estate over $4 Million Dollars in damages. The feds are appealing the decision of course. Public lands are owned by We the People, not the federal government! Unfortunately for Wayne Hage, he didn’t live to see the courts settle the dispute over his cattle and lands. The stress of the encounters with the BLM and NPS, (National Park Service), killed his first wife. Within months of his death his second wife also died. His son is now running Pine Creek ranch. 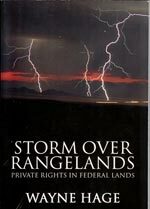 Wayne Hage wrote a book called Storm Over Rangelands, Private Rights in Federal Lands. It documents his struggle with the federal government and their illegal activities. Property rights is such a fundamental foundation of this country. The attempted thievery by the federal government knows no limits. Imagine federal agents storming your home and taking what they want without a warrant or cause. This is what Wayne Hage had to deal with and what Citizens will face if we don’t wake the hell up and defend ourselves with the knowledge of who we are and what is ours. Wayne Hage was never shown any documentation that would give the federal government the right to seize his cattle or water rights, the feds just took them. If you want a great example of disinformation and misleading wording, check out this Wikipedia article on Public Lands. The inference is that the lands belong to the federal government when in reality they are only managed by agencies such as the BLM and the National Forest Service. The lands belong to US, We the People. Most of the public land held by the US Forest Service and Bureau of Land Management is in the Western states. Public lands account for 25 to 75 percent of the total land area in these states. Statements such as these imply the lands belong to the federal government. But the federal government isn’t a person, it is an entity. An entity cannot own land, PEOPLE do! Further down in the article it explains it much better, but a cursory review of the article could lead to misunderstandings. A caretaker is not the owner! Sheriff Tony DeMeo wants to make sure that the property rights of PEOPLE are enforced and illegal seizures are met with resistance of equal force. There won’t be any more illegal seizures of cattle or water rights in Nye county thanks to the hard work and knowledge of this Sheriff! PART TWO: In the late 1990’s, before Sheriff DeMeo took office, the Bureau of Land Management (BLM), an agency of the Department of Interior, seized more of Hage’s cattle off of his ranch, using armed federal agents. The sheriff at that time left town on a fishing trip. Subsequently, when Sheriff DeMeo took office in 2003, he told his deputies that illegal cattle seizures were prohibited and that any federal agents attempting to confiscate cattle would be arrested. Shortly thereafter, the BLM arrived at Hage’s ranch to perform a seizure. The Sheriff’s Deputy told the federal agents that there would be no seizure or taking of cattle, per DeMeo’s decision based on the Constitution. 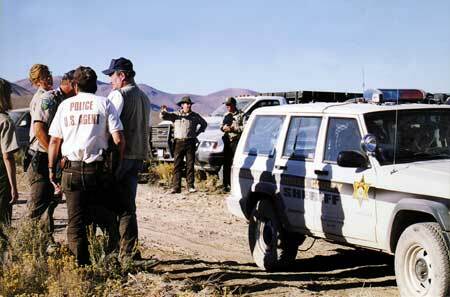 The Deputy was told that the BLM federal agents intended to arrest DeMeo and use armed force to take Hage’s cattle. Sheriff DeMeo advised the federal agent that their SWAT team would be faced with Sheriff DeMeo’s SWAT team if they proceeded. The county Sheriff in the United States is the most powerful law enforcement officer in this country. His power comes from We the People and as such is only limited by the People. He swears his oath of office to our Constitution, not the federal government. He has the ability to defend those who elect him. The federal government has forgotten where their authority comes from and the fact that it can easily be taken away by the same People who elected them. It is time the feds remembered who has power and who doesn’t. The Bureau of Land Management is responsible for stewardship of our public lands. The BLM is committed to manage, protect and improve these lands in a manner to serve the needs of the American people. Management is based upon the principles of multiple use and sustained yield of our nation’s resources within a framework of environmental responsibility and scientific technology. These resources include recreation, rangelands, timber, minerals, watershed, fish and wildlife habitat, wilderness, air and scenic quality, as well as scientific and cultural values. A laudable mission statement so long as the agents of the BLM, National Forest Service, and other federal employees remember who they actually work for, the PUBLIC! Sheriff Tony DeMeo is there to remind them. 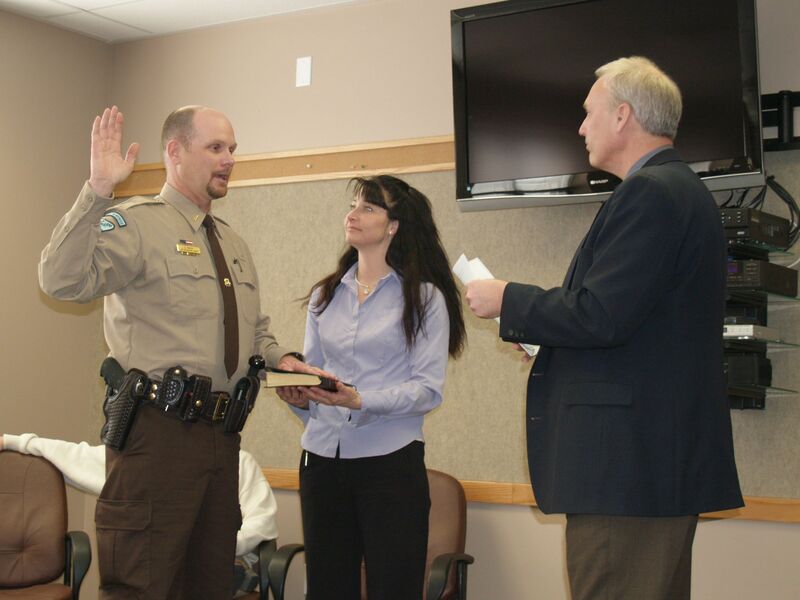 I’m sure that this sheriff is facing the same obstacles that Sheriff Joe Arpaio faces. The feds don’t like it when you get right back in their face. What bothers me the most about all this is the them vs. us that is taking place all across our nation in all walks of life and in all classes. There is NO them, they are simply us with a job. Why don’t those working for the BLM realize that violating the property rights of others is the same as violating their own property rights? You cannot do something to another person and not do it to yourself as well. It is the power hungry few which are creating all the strife and conflict within our borders. The agenda of the global elite is a thorn in the side of every Citizen of this country regardless of who you work for. The very few have become the bane of the many. It is time we fixed this problem and stopped the few from more power grabs. Stealing from We the People has gone on for far too long. Thanks to Sheriff DeMeo and others Citizens have a defense against these illegal activities. The responsibility of authority rests with each individual in this country. We must educate ourselves, our neighbors, our legislators and representatives until we once again understand who we are and what we stand for. 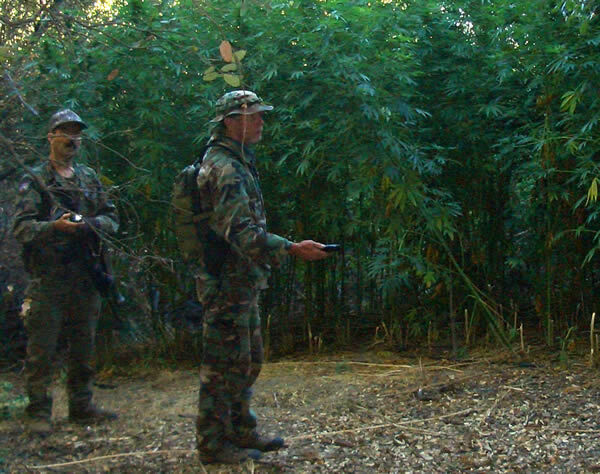 The lawlessness of the federal agents enforcing illegal confiscations must be educated to understand that they can refuse any order that is un-Constitutional. The cattle being confiscated in Sheriff DeMeo’s territory were done illegally. No search warrant, seizure warrant, nor other form of due process was ever shown or granted. Those who issued the orders to confiscate, (steal), the cattle need to be removed from office. It is obvious they are power drunk. They must be challenged at all stages of their attempted thefts. 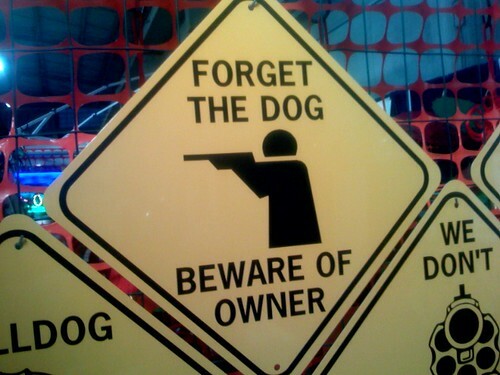 Our rights to own property is sacrosanct and cannot be infringed upon. Stealing, whether government sanctioned or not, is still stealing and against the law. The BLM, Forestry Service, and any other department of the interior is there to manage the lands held by the PUBLIC, you and I. If they fail in their duty, over-step that duty, or try to do things illegally they must be stopped. This land belongs to US, to you and to Me. I cannot stress that enough. Those who think otherwise are mentally deficient and need to be placed where they cannot do any more harm to themselves or others. Kudos to Sheriff Tony DeMeo. Keep up the great job for the Citizens under your watch. We support you and thank you! ~ by justmytruth on August 10, 2010. Yet another handy post, constantly nice to frequent your website! Keep up the good work! Thank you for stopping by. Come back soon.